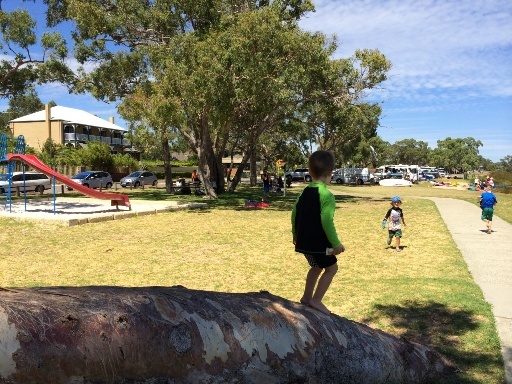 Tompkins Park Lucky Bay Applecross is a very popular water sports spot but it's a nice place to have a bbq, a play at the playground and have splash in the river on a warm day too. This spot is a lovely place to just hang out on a warm day. 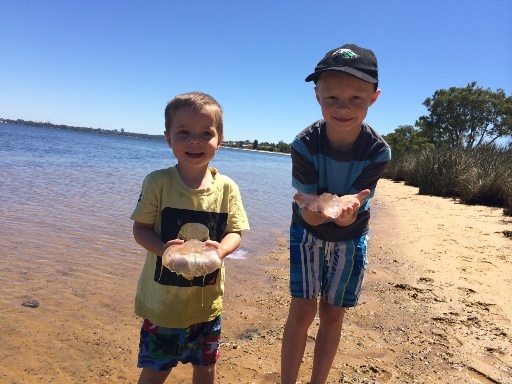 Kids can splash in the river, pick up jelly fish, play on the playground and ride their bikes along the foreshore. 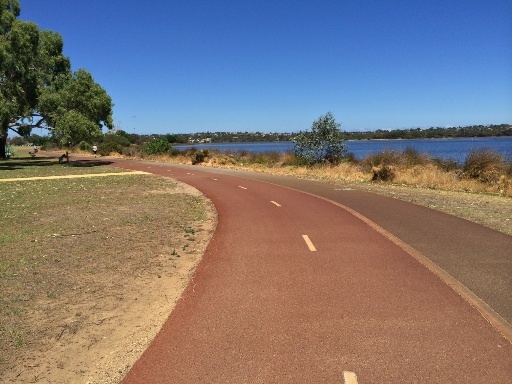 There is a BBQ and picnic table right near the playground and the cycle path runs in front of the BBQ between the playground and the river. 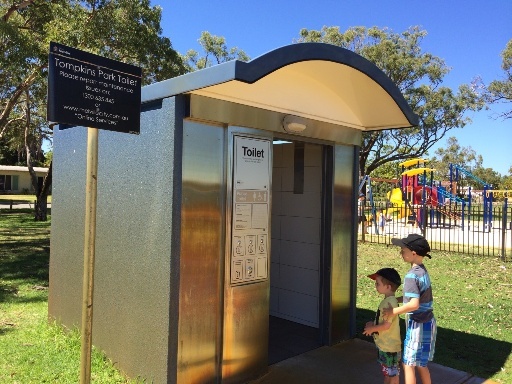 Oh and if your kids have never experience an automatic toilet block they will love the toilets here, my kids had no idea what to think - they couldn't believe the toilet was talking to them! Very funny to watch! 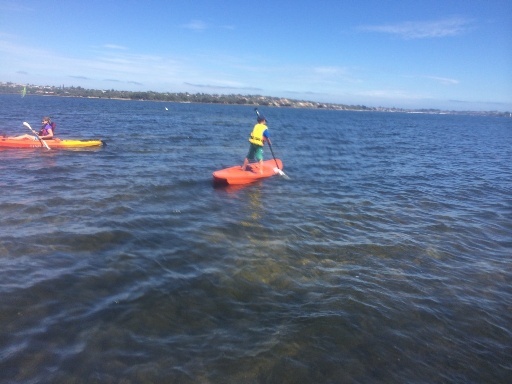 Finn Kayaks often run fun kayak and SUP (standup paddle boarding) demo days at this location which are fun for the whole family. 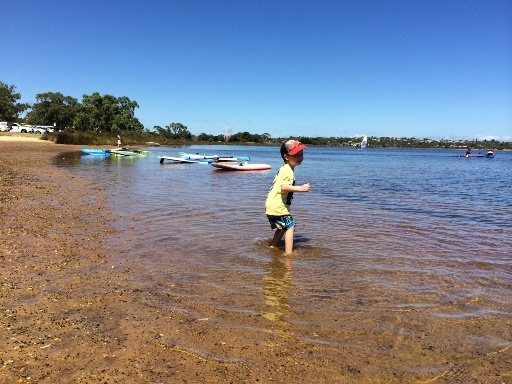 They provide kids and adults life jackets - no bookings required all you have to do is sign in when you arrive. See their website for the next demo day. 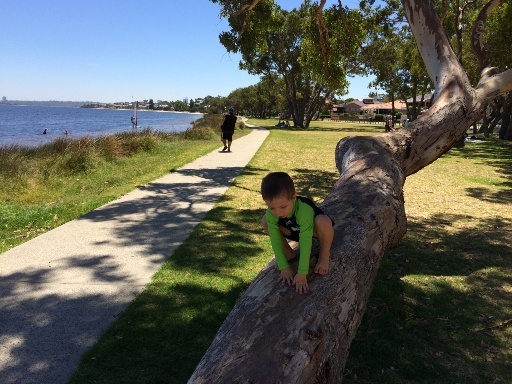 The Lucky Bay foreshore and Tompkins Park in Applecross is a great place to hang out and have a splash, climb some trees and play on a warm, sunny day! 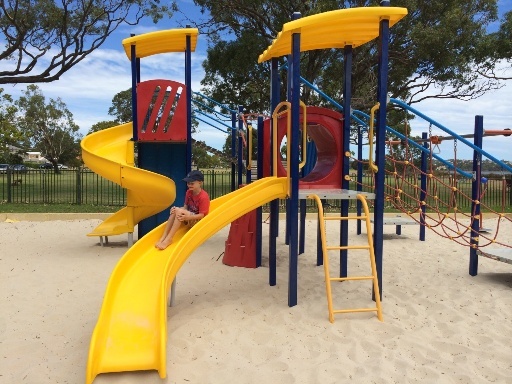 It's the perfect spot for families to just hang out and enjoy a little bit of nature and outdoors activity! What to Bring: Spare clothes and towels is you are going to have a swim or splash. There is a shower on the eastern side of the carpark so they can rinse off and change their clothes if they get a bit wet.